The San Rafael farm, which is owned by a 4th generation of coffee producers, the Contreras Valdez family, is located in the Monte Verde area, in El Salvador. The history of the Contreras Valdez family begins in the early 20th century, when in 1918 Sabino Contreras a captain of the Guatemalan army, was dedicated to the sugar cane plantation and Lucila Pimentel, the daughter of a Salvadorian coffee farmer were united to create a legacy that will be centered in the production and exportation of this exquisite specialty coffee. The farm sits at an altitude of about 1,350 meters and the coffee is natural processed which enhances its sweetnes and fruity tones. Attitude: 1.900 - 2.000 m.a.s.l. The Shimekt Daba Coffee Plantation is a young and dynamic coffee plantation, located in the former Kaffa province (the origin of Arabica Coffee) within the Limu Kosa District, 440km from the capital of Ethiopia, Addis Ababa. The plantation is found in a tropical rainforest. The soil is reddish brown, deep and fertile with humus content. The farm is under suitable shade trees which are indigenous to the land. The cultural practices at the farm are geared towards balanced ecology and conservation based and grown in a sustainable way that considers social and economic aspects. No chemical fertilizer and insecticides are being used. Shimekt coffee plantation offers fully washed coffee from its wet mill station and natural dried in raised beds coffee. Attitude: 1.300 - 1.900 m.a.s.l. Baragwi Farmers Co-operative Society Limited is located in Baragwi and Karumandi locations - Gichugu Division in Kirinyaga County, Kenya, East Africa. It is named after the referred location Baragwi. Timely and selective hand picking is carried out in Guama. The cherries are delivered to the wet mill, the same day they are picked. Cherry sorting is carried out at the wet mill prior to the pulping. Red ripe cheries are separated from underipes, overipes and foreign matter. Processing utilizes clean water (wet processing) that is recirculated before disposal into seepage pits. Sun drying on raised tables is done before delivery of the coffee to the dry mill for secondary processing. Attitude: 1.200 - 1.600 m.a.s.l. 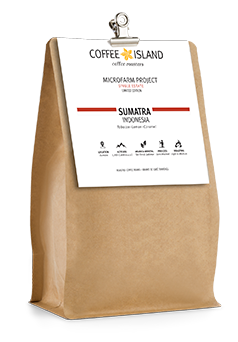 ARISARINA COOPERATIVE is a coffee producers' cooperative established in 2013 located at the highlands of Gayo Aceh Province on Sumatra Island in Indonesia. The membership has reached 2,494 Gayo coffee farmers. 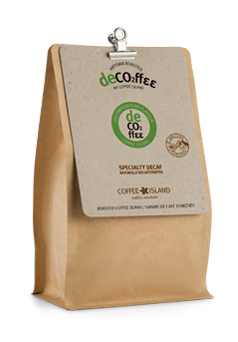 Their common goal is to improve the quality of coffee that grows in the Gayo highlands as well as to maintain and preserve the ecosystem as a place to grow coffee beans of the highest quality. Gayo is considered one of the largest Arabica coffee plantations in south east Asia. Moreover, the coffee plantation that is cultivated by farmers in the Gayo Highland has been following the principle of the conservation, where each coffee farm planted with shade trees. This type of cultivation is rarely found in any other region in Indonesia. 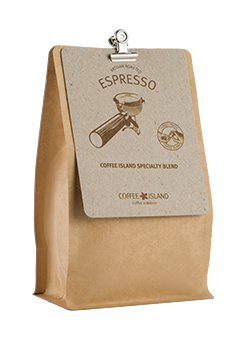 Espresso Coffee Island is our special blend with thick cream, intense flavour (citrus, chocolate, nuts), high acidity and sweetness, silky body, long pleasant aftertaste (fruity, citrus and cocoa). The Arabica varieties we use for our espresso blend are semi washed Brazil Alta Mogiana, washed Nicaragua Di pilto, washed Guatemala Santa Rosa and washed Ethiopia, all of which are medium Dark Roasted. Arabica Varieties: Brazil Alta Mogiana, Colombia Huila. The great variety of espresso and filter coffee delivered with the well known quality of Coffee Island is now available in capsules. The flavor and taste of freshly ground coffee are captured in capsule until the moment they reach your cup. 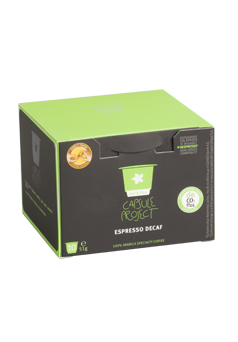 Enjoy the flavor and aroma of our freshly ground coffee at home, by using our capsules in your Nespresso machine. 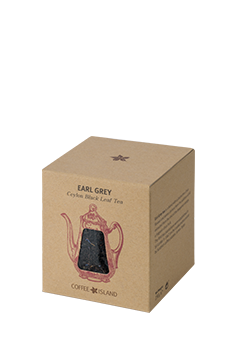 Earl Grey tea is a tea blend with a distinctive citrus flavour and aroma derived from the addition of oil extracted from the rind of the bergamot orange, a fragrant citrus fruit. English breakfast tea is a traditional blend of teas originating from China, Sri Lanka & India. It is a black tea blend described as full-bodied, robust and blended to go well with milk and sugar. Gunpowder green tea is one of China’s best-known quality teas. The Chinese call it Zhucha (tea pearl) because of its shape, as well as Pingshui, the name of the region in which it is grown. It is believed that it took its name from the fact that the small green tea balls resembled actual gunpowder. Cascara (skin, husk in Spanish) is the dried skin of the coffee cherry that remains after it is pulped. It is the outer part of the cherry, with small pieces of its flesh still on it. When the cherry goes into the shelling machine, the bean is separated from the husk, which is removed and left in the sun to dry. The beverage produced by the Cascara is aromatic, sweet and fruity and has about 25% of the caffeine content that is present in an actual cup of coffee. 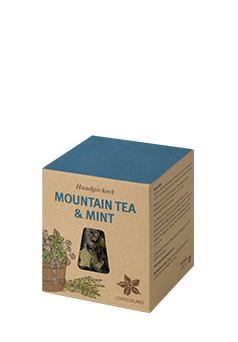 An exceptional mix of mint and mountain tea ("Sideritis") leaves. Two of the most popular herbs combine harmoniously to create a delicious beverage. Peppermint is the most famous variety of mint. It is the result of a cross between watermint and spearmint. It has a pleasant and strong aroma with a spicy flavour and it has been used since antiquity in cooking, perfumery and medicine. Greek mountain tea is a wild shrub also called "Sideritis" in Greek, which means "the man made of iron". It is used as a herb either for the preparation of herbal teas, or for its aromatic properties in local cuisines. Lemon verbena is a deciduous shrub from South America that is perfectly suited to the Mediterranean climate of Greece. Its leaves are used in cooking to add a lemon flavour, and are also used to make herbal teas that can be consumed as a cold or hot beverage. Sage was considered a sacred herb by the ancient Greeks, who dedicated it to Zeus. It is a beverage superior even to European tea, while Greek sage is considered to be one of the best in the world. Lavender is a shrub with grey-green narrow leaves and mauve buds, that grows in calcium-rich soil. Lavender can be used as a fragrant aromatic in baking, gourmet cooking, tea-making and much more. The farm’s height above sea level varies between 1,050 and 1,450 meters. The farm has a small river which runs from West to East joining the Jiguina River, and the Apanas Lake in the East. La Bastilla Farm has been certified by the Rainforest Alliance since 2003 and has a continuous program of improvement. Due to its altitude, natural conditions such as its micro climate, shade trees, soil and the way in which the plantation and ecological processing plants are managed, La Bastilla produces a quality of coffee that is very special, balanced, with a distinct body and aroma. The Butegana Central Washing Station is located in the Kayanza commune in northern Burundi. It handles crops from approximately 3,600 registered growers. Each producer harvests from an average of 300 trees. It is on the border with Rwanda. Kayanza is one of the most reputable growing regions of Burundi. Soils are rich and volcanic, while the growing conditions are optimal year round. Attitude: 1.300 - 1.500 m.a.s.l. The Mafinga Hills in Zambia’s Northern Province are home to the country’s highest peaks, where altitude and ancient volcanic soils help produce the sweet citrus flavor profiles that characterize this single estate coffee. You’ll find that the sharp acidic edge of East African coffees is often softened somewhat in their Zambian counterparts – making the latter perfect for those in search of a more restrained flavours. 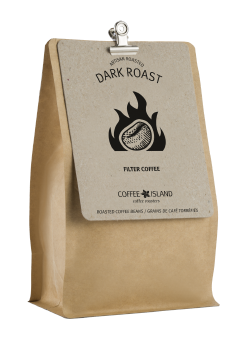 In the typical Zambian cup, you’ll find floral and citrus notes, with a twist of nuts or berries. The better specimens will give more unusual flavours, like cucumber, vanilla, maple and butter. Colombia’s size alone certainly contributes to the different profiles that its 20 coffee-growing departments (out of a total 32) express in the cup, but even within growing regions there are plentiful variations due to the microclimates created by mountainous terrain, wind patterns, proximity to the Equator, and, of course, differences in varieties and processing techniques. The southwestern departments of Narino, Cauca, and Huila tend to have higher altitude farms, which comes through in more complex acidity and heightened florality in the profiles. Coffee was planted in Costa Rica in the late 1700s, and it was the first Central American country to have a fully established coffee industry; by the 1820s, coffee was a major agricultural export with great economic significance to the population. Costa Rica contributes less than 1% of the world’s coffee production. One way that Costa Rica has hoped to differentiate itself among coffee-growing nations is through the diversity of profiles in its growing regions, despite the country’s relatively small geographical size. Tarrazu might be the most famous of the regions: Its high altitudes contribute to its coffees’ crisp acidity. 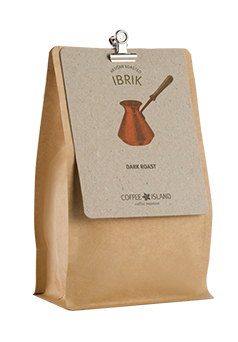 Stardust blend is an Arabica coffee blend made up of specialty coffee beans from Narino Colombia and Tarrazu Costa Rica with a sweet and soft body. 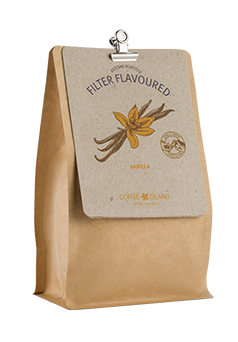 Our stardust blend will make the perfect festive gift for all of you who share the love for unique coffee aromas and flavours. Kochere is a small area within Gedeo Zone in Ethiopia. The Kochere micro-region is recognized as one of the best origins for fully washed southern Ethiopian coffee. In this area the farms are generally very small, while the annual average production is approximately 900 kg per farmer. Ethiopia is considered as the birthplace of coffee! The oldest human skeleton ever found, over 4.4 million years old, was found in Ethiopia and named Ardi. 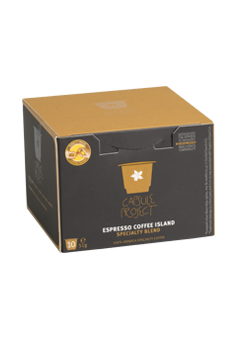 This sweet coffee which is natural processed was named after our ancient ancestor. The coffee is growing in Guji area which is within the greater Oromia region of Ethiopia and Southern Nations, Nationalities, and Peoples Region (SNNPR). It is producing very distinctive coffee and separates the Guji Specialty grade coffee from the rest of Sidama coffees. Bumbogo is located in an area known for high-quality coffee production in Rwanda. It is highly competitive region and has been home to some of the winning lots of the Cup of Excellence. During the washing process, parchment is continuously agitated to encourage lower density parchment to float and to clean any residual mucilage off the parchment. Once the parchment is separated into grades, it is given a final post wash rinse. Guatemala is famous for producing many different types and some of the world’s finest coffees. It is located at the foot of Cuchumatanes. Thanks to dry and hot winds that blow from Mexico’s Tehuantepec plain, Huehuetenango region is well protected from frost, allowing the coffee to be cultivated up to 2,000 meters. This region has ideal geographic conditions for the cultivation of great quality coffee. Coffees from Huehuetenango are exceptional with distinct acidity and fruity flavors. Peru is one of the largest producers of coffee in the world and noted for being one of the major producers of organic and fair trade coffee beans. This is an SHB EP grade Fair Trade Organic certified coffee, located in Huanuco, San Martin, one of the prime coffee and cocoa growing areas of Peru. Focused on values promoting the improvement of living conditions of its 1000 members, the cooperative supports the producers by helping bring high quality crop to market. 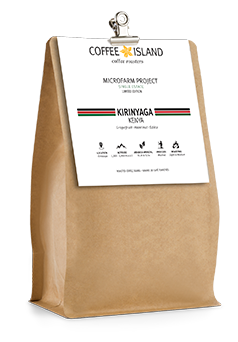 This coffee comes from the washing station situated in Ngariama location, Gichugu division of Kirinyaga District. Kainamui is located on the slopes of Mount Kenya and lies at an altitude of 1,800 metres above sea level which makes it ideal for coffee production. With ideal conditions for coffee growing, farmers benefit from the mineral-rich red volcanic loam soils and high altitudes that are typical of the area. Varieties grown by these members are SL28 and SL32. Aromas of jasmine and tangerine, flavors of raisins and figs, with oily rich body and a lingering, fresh and sweet aftertaste. Roger Peralta and his family have owned the beautiful 80 hectare Finca La Argentina since 1920. It is located a steep 30-minute drive from the local mill town of Ocotal (Nueva Segovia’s capital), deep in the stunning mountain forest where many varieties of indigenous tree and types of flora and fauna flourish, providing ample shade for the Caturra, Catuai and Javanica that grows there. The high altitude, excellent climatic conditions and close proximity to the mills all contribute to the exceptional quality of the coffee. Situated in the Nueva Segovia region amongst the Comarca Las Camelias community at altitudes ranging from 1320 to 1450 metres above sea level, Samaria embodies a diverse range of luscious vegetation and wildlife brought about by high levels of annual rainfall. Samaria has a total area of nearly 85 hectares which consists of natural mountainous forest. Of the 85 hectares of available arable land, 40 have been set aside for the sole purpose of maintaining and improving the natural habitat.